All PopCan Populus trichocarpa genotypes are represented in clonal archive stoolbeds at Totem Field at UBC. New branch cuttings were collected from the Totem Field PopCan Trial plantation in early 2015 to replace missing clones. A proposed plan is to include an archive stoolbed for the quarantined hybrid poplars currently growing in the growth chambers. Rental costs for the clonal archive stoolbeds can be covered for three years by the allocated IPS VI surplus of $7,273 (the remaining balance) and the BC Government has expressed an interest to fund maintenance of this archive for an additional three years, ensuring the clonal archives a lifespan of five to six more years. The IPS VI-allocated funds will be managed by the UBC Department of Forest Sciences. The BC Government further indicated an interest in establishing and maintaining a second clonal archive stoolbed on an existing BC Government research site near Saanich on southern Vancouver Island. Since the clonal archive stoolbeds at Totem Field are well outside the Septoria musiva quarantine area, transfer to southern Vancouver Island should not pose a problem. The search is on for another home to spread the risk, in case one of the designated sites becomes unavailable. Totem Field PopCan - Black Cottonwood Trial at UBC. 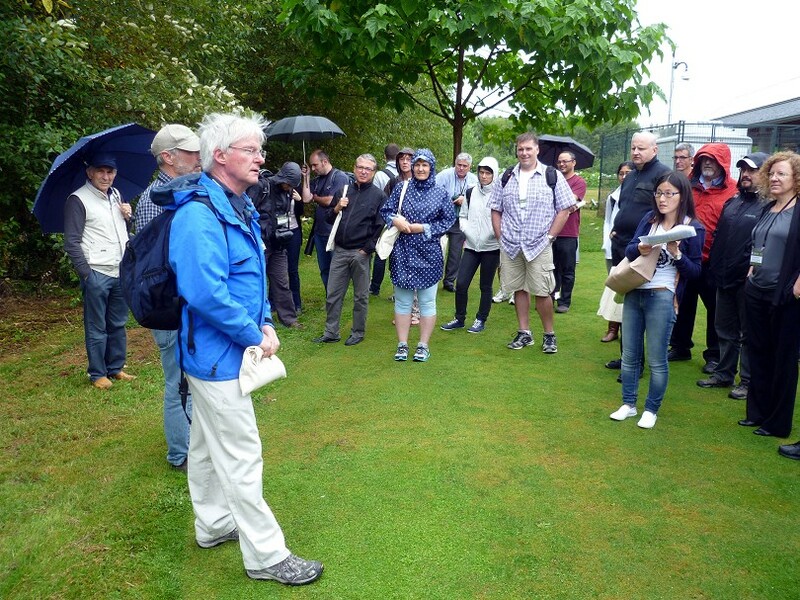 On Wednesday July 23rd 2014 which was the last day of the IPS VI Symposium at the University of British Columbia, participants had an opportunity to visit the UBC Totem Field where the PopCan P. trichocarpa plantation, in its seventh growing season, was located. Researchers collected pollen from 41 genotypes, which is now in storage. Cuttings were taken from several trees to replace genotypes missing from the clonal archive stoolbeds. This seven-year-old plantation was originally scheduled to be removed in the spring of 2015; however, the UBC Faculty of Forestry decided to maintain the trial for at least one more year. This presents the opportunity to add to the pollen collection in 2016. Hopefully additional outside funding can be secured to extend the plantation`s life beyond 2016 in order to carry out marker-aided breeding. This would be a very valuable and logical next step for the PopCan project, since all genomes are now known.